I just came back from watching ‘Mao’s Last Dancer‘ at the cinema and it inspired me to write this post. One of my home languages is South Sotho and I speak it with great pride. Home language forms the context of this post. When my older daughter started her grade 1 several years ago in an English medium school, her teacher advised that my wife and I must try and speak the “Queen’s language” to her as often as possible to help fast-track her grasp of it. My response to the teacher was that we will use English all the time as a medium of instruction, but we will not deprive our daughter the opportunity of being fluent in her home language as this is an important part of learning her African culture. UNESCO considers that “providing education in a child’s mother tongue is indeed a critical issue”. My daughter is now in a secondary suburban school, she is fluent in spoken English and more than one African language, she is fully grounded in her African culture, and she easily adapts to western ways of doing things if circumstances call for it. Call me a traditionalist, but I hold a strong view that language is integral to embracing culture. As a result, I have a fundamental problem with an increasing number of Black parents who happily encourage their kids to speak English exclusively, all in the belief that this will provide the best opportunity for the kids to do well at school and in life in general. The unfortunate outcome is that some (if not most) of these kids battle to ‘fit in’ when visiting families in rural areas and townships, where South African indigenous languages are the order of the day. The ultimate potential is that the affected kids withdraw from learning the Black culture and become lost souls as the English culture is also too foreign to adopt! The big question then is whether a culture-less generation is good for the future of a society as whole? My answer is an absolute NO. What is yours? 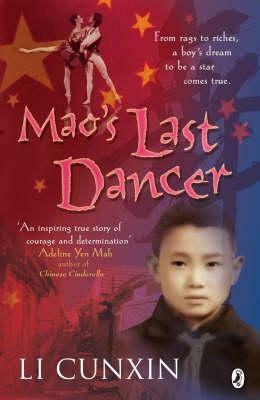 In closing, I enjoyed ‘Mao’s Last Dancer‘ and give it a 4/5 rating. I am certainly not a movie buff, but I urge people who watch it to actively and intellectually engage with the issues raised; and especially sacrifices that are associated with the determination to succeed. I am also currently working on an exciting project aimed at connecting the dots between choice of higher education studies and eventual employment opportunities. Check out http://nuffdotty.co.za for more on the project.